Approximately 40 million American adults suffer from sensitive teeth, a condition which makes it painful to do ordinary things like eating, drinking, and brushing your teeth. Tooth sensitivity is caused by thin tooth enamel or exposed tooth roots. Contributing factors include excessive brushing pressure, a diet high in sugary or acidic foods and beverages, mouth trauma, tooth decay, tobacco use, and gum disease. 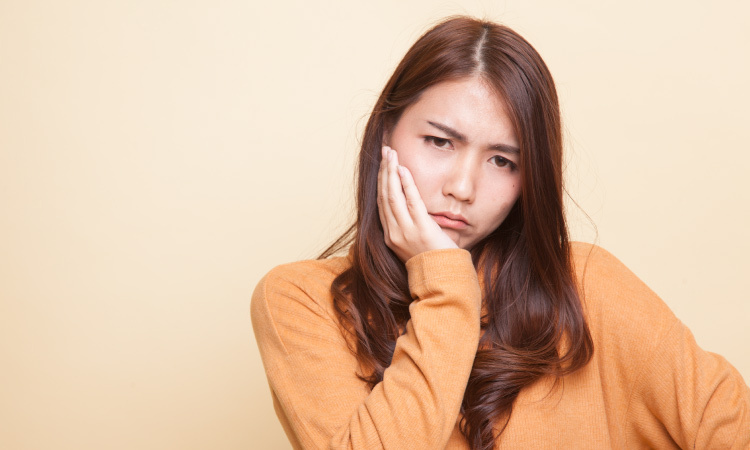 To help our patients whose teeth are overly sensitive, we offer a few tips to help deal with this common and painful problem. There are many toothpastes available which contain compounds like strontium chloride and potassium nitrate that help block transmission of sensation from the tooth surface to the nerve. After using desensitizing toothpaste several times, a reduction in tooth sensitivity should be noticeable. Regardless of what kind of toothpaste you use, there’s no need to brush your teeth very hard. That can wear down the enamel and create sensitive spots. So pay attention to how hard you brush, and also be sure to use a toothbrush with soft bristles. Moreover, consider investing in an electric toothbrush with a pressure sensor that causes the bristles to stop vibrating when you apply too much pressure. Acidic foods and beverages—such as carbonated sodas, citrus fruits, and wine—can gradually dissolve the crystalline mineral structure of your tooth enamel, causing teeth to become sensitive. When you do drink acidic liquids, use a straw to limit contact of the fluid with your teeth and rinse your mouth with water. Additionally, chew sugar-free gum for at least 20 minutes afterward to help stimulate the flow of saliva and neutralize the pH of your mouth. Consult with CarolinasDentist About Your Sensitive Teeth! There are several in-office treatments that will reduce the likelihood of tooth sensitivity. For example, we can apply fluoride that will strengthen your tooth enamel. If you have exposed roots, we might recommend bonding resin or a special gum treatment. If more conservative treatments don’t work, root canal therapy is a consideration. By removing the nerve in the root of the tooth, pain is eliminated completely. Our team can also provide additional tips to achieve a pain-free smile. If you have sensitive teeth, don’t wait until the pain gets worse. Contact us to set up an appointment today!